This is moms care product with complete and balanced nutrition diet during pregnancy and lactation which provide the extra nutrition and energy to help you care for your newborn. FEATURE: The nutrition during pregnancy and lactation leads to the growth and development of the foetus and adds to the maturity of a healthy baby.It is a specialized nutrition offering with IQ blend of brain nutrients & high quality protein that helps in your foetal brain development and healthy birthing. Sim Mom provides the energy, protein and calcium needs of a pregnant or breast feeding mother. 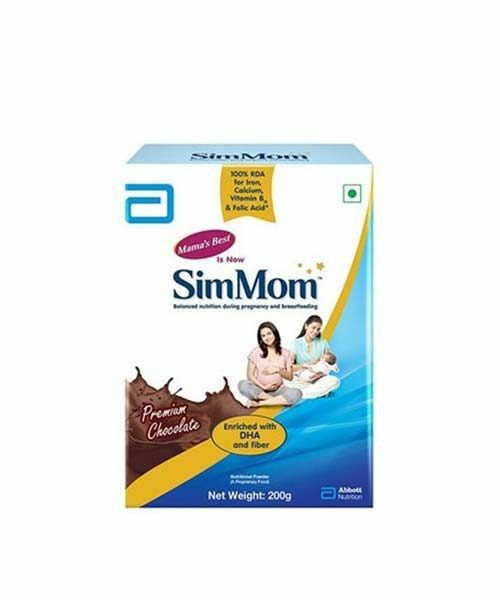 Sim Mom helps in healthy weight gain which is required during pregnancy as it is low in fat and sugar, has zero transfat and has high quality protein.